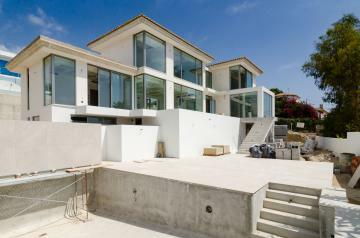 BEAUTIFUL VILLA WITH FANTASTIC SEA VIEWS FOR SALE IN THE AREA OF ALTEA. A nice villa with 365 m2 living area on a plot of 2880 m2, the villa has a beautiful view over the sea, large terraces and a beautiful swimming pool. 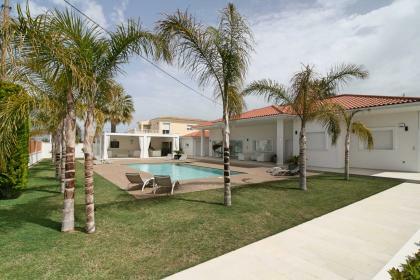 The villa is situated in a very quiet area and has south facing. From the entrance to the plot, we have access to parking for 4/5 cars and a closed garage for 2 cars, there also is located the laundry room in the garage. On the main terrace one can find the BBQ zone with outside kitchen and swimming pool. The barbecue and eating place is covered. Accessing to villa by a large staircase from the main entrance one comes into the hall of the villa, where are located the spacious and modern living room with fireplace. A spacious, beautiful, independent kitchen with luxury white goods and full equipped. Also, with access through a door to a terrace. There is a room that is currently used as an office / living room, it is also possible to create another additional bedroom. The house has upstairs 3 bedrooms with wardrobes, very spacious and bright, 2 complete bathrooms and a behind terrace. Downstairs one can find other 2 bedrooms and 2 bathrooms, on the same floor as the pool terrace. On the main terrace of the villa is also to find a outside fireplace for romantic evenings. The home has beautiful finishes with all details. It was renovated in 2016 with western European standards. The villa is only 3 km from the beach and 5 km from the center of Altea.